Dear guests! You are invited on the seminar of Hitohira Saito Sensei , the only son and successor of Morihiro SAITO Sensei, grew up living and working in the dojo of the Founder, who considered him like grandson. He lived 17 years with the Founder. He began his daily study of Aikido under O’Sensei and continued this under the tutelage of his father. 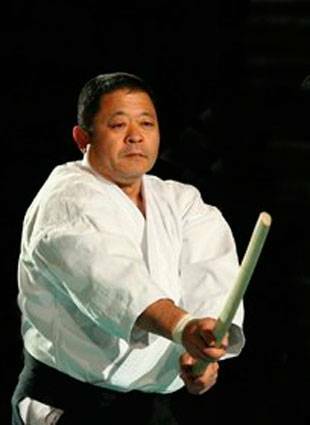 He was the student who trained the longest with Morihiro Saito- more than 33 years. In 2004 Iwama Shinshin Aiki Shurenkai was formed in order to continue his father's self assigned task, and so preserve the Founder's Aikido. Mozhaisky Military Space Academy, gym. The seminar is open to all aikidoka, independent of style, school and experience. Weapons experience is desirable. For weapons training, please bring your own bokken, jo and tanto. In case of some changes all registered participants will recieve an e-mail message. We are not taking responsibilities for arranging visas for foreign participants, therefore please take your own care of all necessary documentation and subsequent visa application. The price of Russian visa for EU is 35€. Assistance with visas (from 15€). The hotel makes visa support and transfer for its guests.